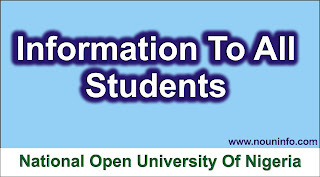 It is advised to print noun admission letter immediately after completing the National Open University admission application because it will be required when you go for the clearance and Noun screening exercise. Even if you missed printing your noun admission letter at the first stage of Noun admission process. You have nothing to worry as well. Choose the option that applies to you. It does not necessarily mean that you’re reapplying for the national open university admission. So you don’t have to worry when following these step. Now, Enter the RRR Number (used for payment of Noun admission form) and the NOUN Unique Id or Code generated for you during the Admission form submission. Then Click on the “SUBMIT” button. Finally, is the national open university admission letter that we all hoping on. Now, Click on the “PRINT ADMISSION LETTER” option and call it a day.